If you don’t want your online activity picked apart and plucked by Internet entities and the government alike, the Web doesn’t offer all too many options. The developers at Gibiru are trying to change all of that. While work-arounds and hacks can keep would-be spies from snooping on the Internet activity of others, novices aren’t left with many viable means of achieving anonymity on the Web. 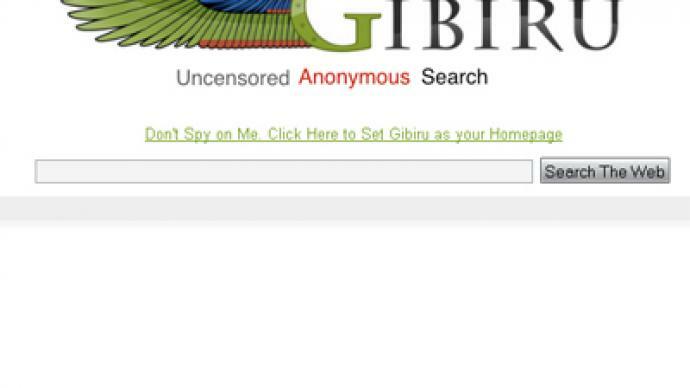 To remedy that, the Gibiru search engine exists to allow surfers to query anything — questionable or not — without risking the repercussions of having their privacy practically eliminated by Silicon Valley companies that are coming creepily close to being the Big Brother of the Web. With the US House of Representatives recently passing the Cyber Intelligence Sharing and Protection Act, or CISPA, Congress is close to being in cahoots — officially — with the Internet’s biggest service providers. Should the legislation leave Capitol Hill and head to the White House, a veto from President Barack Obama is the only thing that will keep the federal government from going into the online activity of every American with seemingly no questions asked. Even without CISPA being brought to Obama’s Oval Office desk just yet, Web surfers regularly submit activity logs over the Internet without even realizing it. Gibiru, however, has gone out of the way to make sure that that isn’t the case. “Gibiru is what Google started out as over 10 years ago, the good old days,” Steve Marshall, founder and CEO of Gibiru, explains in a press release. 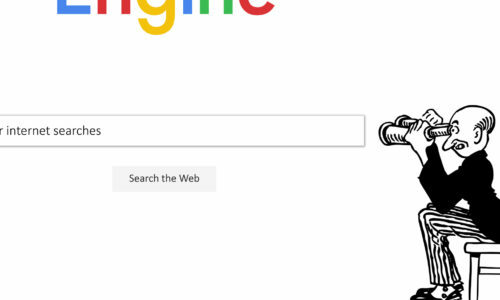 Gibiru operates like Google, essentially, by eliminating the key components that put personal privacy at risk when surfing through the more well-known search engine. On their website, Gibiru is explained as a way to conduct web searches that are both uncensored and under wraps. That is, by modifying Google’s search algorithm, Gibiru not only eliminates the cookie trackers that Google installs on its users’ computers, but also allows for customers to conduct queries without being subjected to the “personalization” that Google insists on. “If I am searching for something, it could just be that I don’t know what or where it is, so, why would you personalize my results? Just let me search in peace,” Marshall pleads. Earlier this year, Gibiru reached a major milestone — as of February 2, the search engine was experiencing an average of 10,000 queries each day. Explaining the news, however, its developers were unable to offer any more details — that’s because they keep very limited track of what goes on with its users. Instead Gibiru offers an alternative to searching, but it doesn’t stop just there. Also on their site, the webmasters make a point of introducing their customers to articles on current events that might not make the cut when it comes to Google’s own news service. “It is a form of military-grade marketing and that is just how the cookies crumble,” Marshall adds.